While you know that Mississippi is home to some delicious Southern comfort foods, you may not know that the state’s top-notch delis know how to prepare a mean sandwich. Find some of the best po’boys in Biloxi and discover cheeseburger pasta in Meridian. Whatever your preference, you’ll get it at these 10 excellent delis in the state. Steve's Downtown Deli & Bakery in downtown Jackson is a great place for busy professionals to stop and grab lunch. They've been in business since 2004 and now have two locations thanks to their popularity. Grab a salad, sandwich, pizza, or take something with you to heat later. Broma's Deli opened in Brookhaven in 2002, and they've been winning over customers with their great service and high standards ever since. They've even opened a second location in McComb. Try the Broma's Chips, crispy delicious fried potatoes topped with bacon and melted cheese and served with ranch. Frisco Deli in Pearl has a reputation for fast service, smiling faces, and delicious food, all in a clean, spacious atmosphere. They serve sandwiches as well as hot plates full of Southern specials like ribs, fried chicken, and fried catfish. The Cajun roast beef is a local favorite! 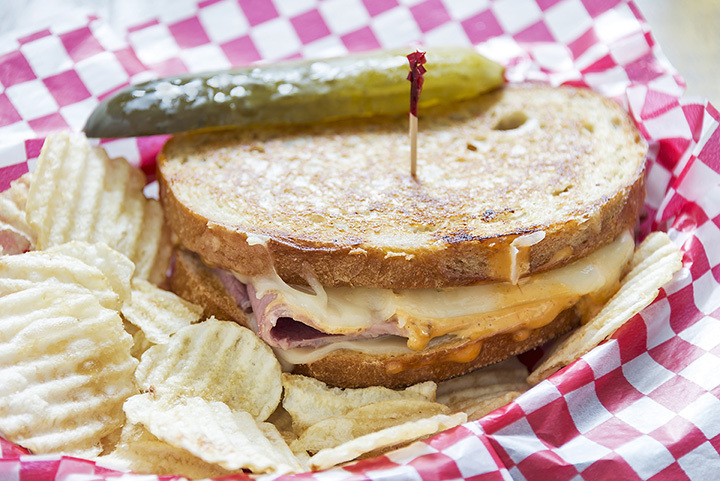 Paradise Deli & Grill is more than just an average sandwich counter. From traditional deli sandwiches to their Caribbean jerk chicken sandwiches and signature Paradise Burger, they offer amazing sandwiches at a great price. Be sure to check their Facebook page to see the daily specials! Rena's Deli has been serving Biloxi since 1991, and offers quality deli sandwiches as well as regional favorites like po’boys. They're only open for lunch Monday-Friday, but it's worth finding the time to stop in. The roast beef po’boy might be single-handedly responsible for their success, although the red beans & rice is a close runner-up. The Deli on 5th is a cozy, cool place to enjoy a long lunch with a friend. Exposed brick is hung with eclectic art, making it the kind of atmosphere where you just want to hang out. In addition, the food is always incredible. Keep an eye on their Facebook page so you don't miss Cheeseburger Pasta Day! Long Beach Market & Deli is an unassuming, out-of-the-way market and more. In addition to offering the largest beer selection in Mississippi (including several beers on tap), their deli offerings include seafood po’boys, Vietnamese po’boys, fried rice, and some of the best Korean barbeque on the coast. South Mouth Deli in Hattiesburg is putting a new spin on the deli experience. The reclaimed barn wood and chalkboard paint provide a comfortable rustic chic atmosphere, and the food ranges from traditional deli sandwiches to gourmet sandwiches with toppings like Havarti and house cured meats. The Deli Diner in Collins is known for its food as well as being one of the friendliest places in town. They were awarded "Best Deli in Mississippi" in 2013 by Mississippi Magazine, and for good reason! All of their food is made with love, and they bake their bread fresh each day. Ben's Deli on Pass Road in Gulfport is a tiny little building that serves up big plates. Their offerings range from fried rice to po’boys and seafood platters, and Ben's is known for its enormous portions and reasonable prices. There's not much room inside to eat, but it's perfect for take-out.